Facing a criminal accusation can leave you nervous, frightened, and anxious, especially if you are unfamiliar with the criminal justice system. Having someone on your side that is skilled and knowledgeable in Florida law can alleviate many of your fears and provide you with much needed stress relief. If you’re facing criminal charges in Jackson County, getting advice from an experienced criminal attorney is a step in the right direction towards defending your case. A criminal defense lawyer can effectively represent your case to help you get your charges reduced or even dropped. The attorneys at Pumphrey Law are Tallahassee-based criminal defense attorneys offering services to men and women who have been charged with a criminal offense like a DUI in Marianna, Graceville, Malone and Sneads. Criminal defense encompasses many areas, from misdemeanors to felonies. With years of experience, the attorneys at Pumphrey Law focus on defending clients who face a wide variety of charges including domestic violence, drug offenses, traffic violations, theft crimes and violation of probation throughout the county. If you have been charged with a crime in Jackson County, Pumphrey Law can help. 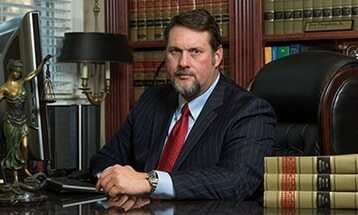 His knowledge and experience will benefit your criminal defense case in Jackson County. Contact our offices today to discuss your legal options. To better serve the community, the Jackson County Sheriff’s Office is separated into specialized divisions: the K-9 Division, Patrol Division, Aviation Division, Judicial Services, Dive/Rescue Division, and the School Resource Division. The Police Chief of Marianna is Hayes Baggett, a native of Jackson County, who was employed with the Sheriff’s Office for 10 years, then after furthering his education, served as a Probation Officer for almost 14 years, until he was elected Chief of Police in 2008. If you’ve been accused of a crime in Jackson County, take steps to create a strong defense. Contact Pumphrey Law today at (850) 681-7777 to schedule a free consultation with a lawyer. Let us fight to protect your name and future.